Nashville officials said they are unlikely to bring charges in the death of 1-year-old Katera Barker, who was forgotten for several hours in her father's pickup truck, CBS Nashville affiliate WTVF reports. The tragedy occurred Wednesday morning after her father, Matt Barker, brought Katera and her 5-year-old sibling to day care at approximately 7:30 a.m., forgetting to drop his youngest daughter off as well. Around 8 a.m., Barker returned his truck to the driveway outside his East Nashville home. 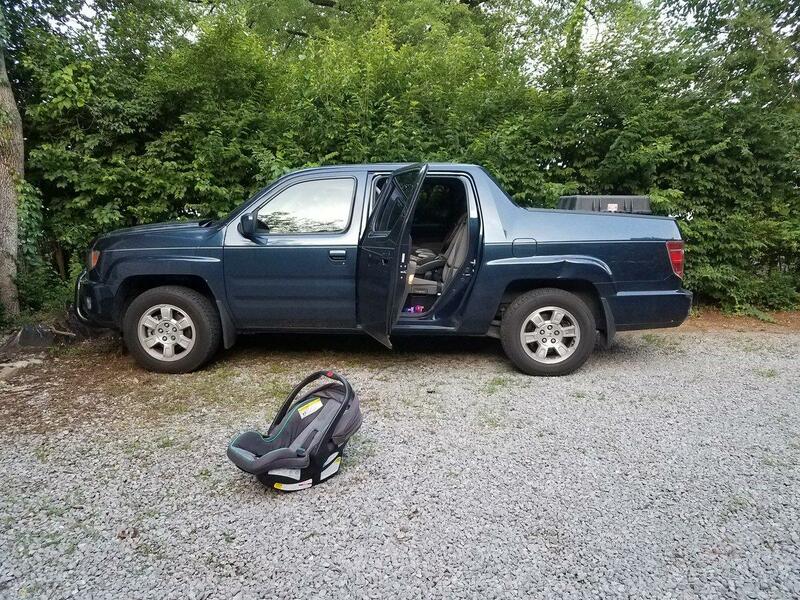 He left minutes later in a rideshare vehicle for the airport, unintentionally leaving the child in a car seat in the rear seat of the truck. When Barker's wife, Jenny Barker, went to retrieve their two children from the daycare after work, she was told that their youngest child had never been dropped off. Officials said it was while calling her husband that she realized the child might still be in his back seat. Barker found her daughter in the hot truck shortly after 5:30 p.m. Wednesday and performed CPR on the child until first responders arrived. The child was rushed to Vanderbilt Hospital and pronounced dead. Police said Matt Barker flew back to Nashville late Wednesday. They said the Barkers have been fully cooperative with the ongoing investigation. The girl had been in the vehicle for roughly ten hours. According to the National Weather Service, temperatures climbed to 89 degrees that day. Janette Fennel, founder of kidsandcars.org, shared tips for preventing accidents like this with WSMV. "Keep a stuffed animal in your child's car seat and when you put your child in the car seat put that up front in the passenger seat," she said. "Put your cell phone, your bag, your employee badge or lunch or anything in the backseat that you'll need to grab when you arrive at your destination." Fennel said Tennessee ranks eighth in child hot car deaths nationwide, with 30 incidents since 1990.